to succeed in school and life! Together we take action through several initiatives. The information phone line gives parents an easy way to find support and information about the services and resources they need for their children. 12,000 calendars are given to parents of our three and four-year-olds each year. The calendar offers many developmental activities that parents can do daily to prepare their children for kindergarten. Available in English and in espanól. In partnership with Easter Seals DuPage & Fox Valley, DayOnePACT, Kane County Health Department and School District U-46, EPEL offers free screenings for children 0-5 years of age to evaluate for developmental delays and refer to early intervention if needed. Early intervention partners with families to provide the best early start for children available. For a free online developmental or social-emotional screening click here. Give Me Five messaging offers five easy prompts to remind parents to Talk, Play, Read, Do and Write in their everyday life preparing children for Kindergarten. EPEL task force created a dynamic series of parenting tip cards to support new parents in helping their child to learn, develop, and grow right from the start. Implement a Director Support Network for center/preschool directors for ongoing support, training, and opportunities. EPEL has engaged child care professionals to participate in network opportunities that focus on making childcare the highest quality possible. 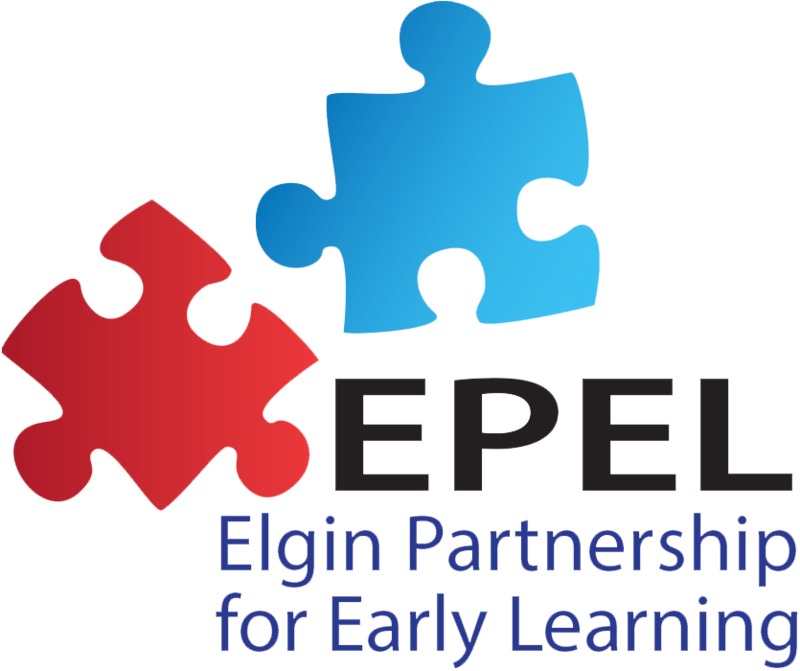 Develop a structure to show the number of slots filled and available in Elgin childcare programs. Having this information about availability in child care centers will give EPEL the opportunity to help fill those slots and get more children enrolled in quality child care.